The most important thing we can do as part of our everyday routine is to focus on what matters. It seems like I'm stating the obvious here, but if we can spend more time actually DOING what we're good at, we can accomplish more of what invigorates and inspires us, and less of what drains us. If we can be inspired, or be inspiring, if we can set goals for right now, and if we use the right tools, we can be much more effective. I’ll show you how, with the right tools, you can keep your brand fresh online, do more with less, and even make more money with your website and apps. I've been reading about inspiration specifically for some time now. It's one of the most powerful driving factors for productivity at work. "People who were generally more inspired in their daily lives also tended to set inspired goals, which were then more likely to be successfully attained." I think it’s time to get inspired. It’s time to get moving towards doing the kind of work that gets things done. It matters for leaders, too. If we want to get people working, we need to be inspirational. "When we are filled with inspiration, we often don't need external motivation to move forward. The feeling of purpose and meaning is enough to propel us. When we are void of inspiration, we must seek out ways to keep ourselves moving forward towards a clearly defined end state." How Can We Be Inspiring? In Simon Sinek’s Ted Talk Start with Why on how great leaders help inspire people he says it’s all about finding your “Why”. He argues that we should seek fulfillment, and that profit is a result, not a reward. With that in mind, we should also look at Satya Nadella and his transformation of Microsoft. 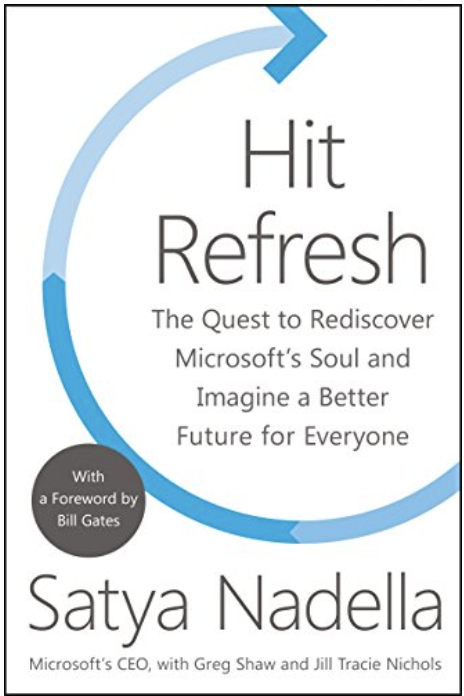 He says in his book Hit Refresh that we can be inspiring leaders by showing empathy towards both our colleagues and our customers. Under Nadella's leadership, Microsoft's share price has nearly tripled, with the company's market value over $800 million. He's clearly doing a lot of things right. It would seem obvious that we need to know where we are going, but it’s not always how we start our day. We need to start off with clarity and purpose about what our goal is for that day. “You have to decide what your highest priorities are and have the courage—pleasantly, smilingly, nonapologetically, to say ‘no’ to other things. And the way you do that is by having a bigger “yes” burning inside. The enemy of the ‘best’ is often the ‘good.’"
We have lots of urgent things that come up every day. We fool ourselves into thinking that if we just get all the urgent things done, we’ll have time for the important things. This is folly; don’t be that fool. Pick one important thing and get it done. Make sure that it’s important to you. That way, if you can get it done, even just that one thing, the odds are good that you will feel a little better about what you did that day. That is how you walk on the path to fulfillment. All of my advice so far has been pretty generic, because, quite frankly, most people don’t know how to be effective at their job no matter what it is. Or, like me, you might be forgetful, and slip up from time to time. That’s ok, we are all humans, for the most part; sometimes we get sucked into the quagmire of urgent stuff and lose our inspiration. Now, let’s assume that we are inspired today, and we’ve got our priority clear, and we know exactly what we want to do. We need to update our corporate website because we need to keep our branding fresh with a new message on the home page. How should we proceed? We need to choose the right tool for the job. If you are looking to update your website, that tool should be a CMS (Content Management System). If you don’t yet have your website running on a CMS, you need to get one, right away. Trust me on this, don’t wait – this is your new top priority! For obvious reasons, I suggest Agility CMS, since it’s the best Cloud CMS out there, but I believe in this strongly enough to recommend whatever CMS might be right for your needs. Feel free to reach out for more information. If you are looking to do a new website build, a CMS isn’t going to solve every problem you have. That’s okay. As long as your CMS allows you to keep your brand fresh online, your website is a great representation of your brand, and you are providing an amazing experience for your website visitors, you are on the right track. You should be able to update your brand messaging, graphics, videos, and colour scheme easily. Your CMS should also allow you to move data from your website to the tools you are already using, such as your CRM (Salesforce, Dynamics, etc.) or your Marketing Automation system (Marketo, Hubspot, etc.). If you sell products or tickets online, your CMS should be able to help you with that, and it should be able to integrate with your Finance tools, too. You should start to think of your CMS as the Central Hub for your website and all the data that surrounds it. If it's not, you are probably leaving money on the table somewhere. 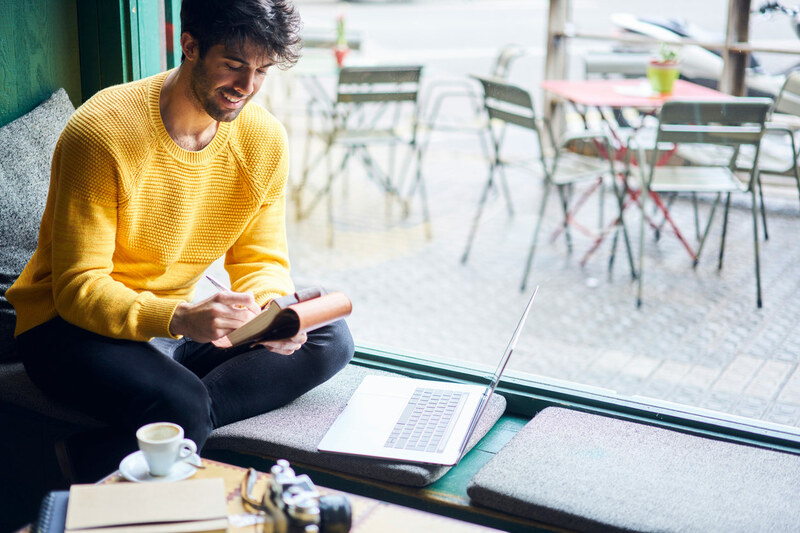 Wouldn’t it be great if you could write your content once and have that same messaging show up on all the various websites, apps, and social media accounts that it needs to? Why should you spend all your time repeating the same task when a tool can do that for you? Again, I say to you, that’s all about using the right tool – and again it comes back to your Content Management System. Imagine writing an article or blog post, including a great photo, catchy title, and the perfect excerpt that grabs your readers’ attention. Now imagine all the work that goes into getting that article onto your home page, a campaign landing page, a micro-site, your apps, and social media. Why should you have to do 5 times the work? The work should be the writing, not the syndication. I’ve focused quite a bit of attention on using the right tools to help you be effective at writing online, but remember I started with two main points that were all about mindset and focus. I believe that being inspired and being an inspiration is the most important thing to help you be effective, not just as a writer, but as a human being. After that, we need to be able to set goals, not just for the future, but for right now. We need to be able to get up in the morning and have a priority that matches what inspires us. Then, and only then, do we need to focus on what tools we are using, and when it comes to the online digital world, a CMS is key. Our CMS should help us keep our brand fresh online – that’s Job 1. It should help us in our day to day business by integrating the tools we use to manage data, and it should move our content into all the places it needs to get to. We write it once and it shows up where it needs to be. At the end of the day, being fulfilled at work should feed into the next day’s inspiration, and knowing we did what we set out to do is a big part of that. It can also be about something more. We should have a chance to take the opportunity to pay it forward, to have empathy and to lead others on their path as well. That’s the part I leave up to you.